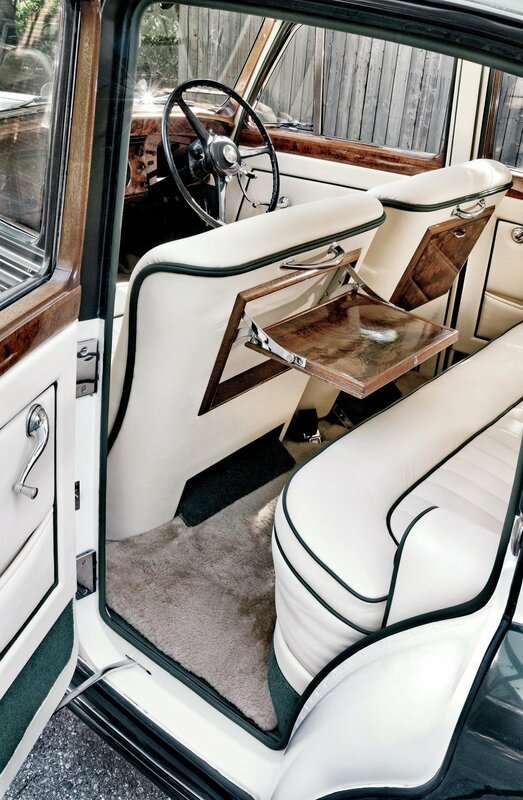 Decades ago, the owner of this 1953 Bentley R-type sedan replaced its luscious gray leather upholstery with ivory vinyl. Why on earth would someone deface an automobile as elegant as this? Simple, really: David Trapp wanted to learn how to do upholstery work. And vinyl is much cheaper than leather, especially when it’s for practice. 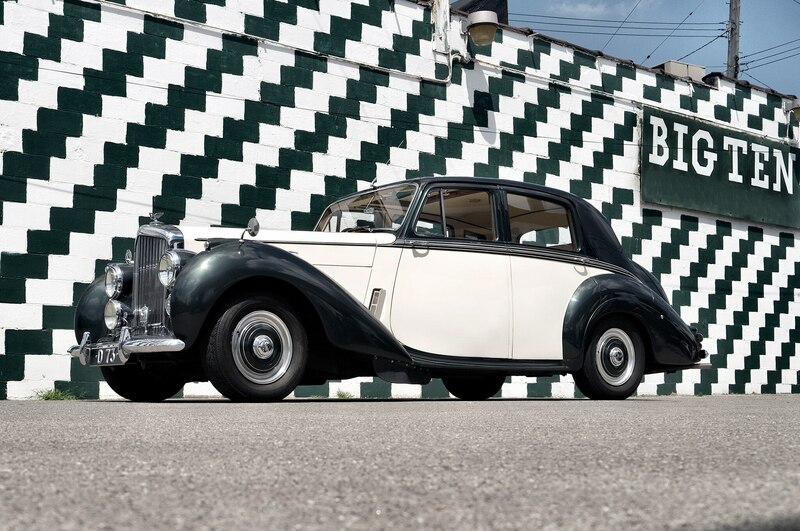 Trapp made a side business of importing and fixing vintage Bentley and Rolls-Royce cars. His wife, Juliette, quickly claimed the car for her own, however, and it was her daily driver for most of the 1970s. It also blasted between Kentucky and Florida countless times. Conveniently, the vinyl seats held up well against teenagers who wore soaked swimsuits and tracked in beach sand. “That car was used pretty damn hard,” David and Juliette’s son, David II, recalls. 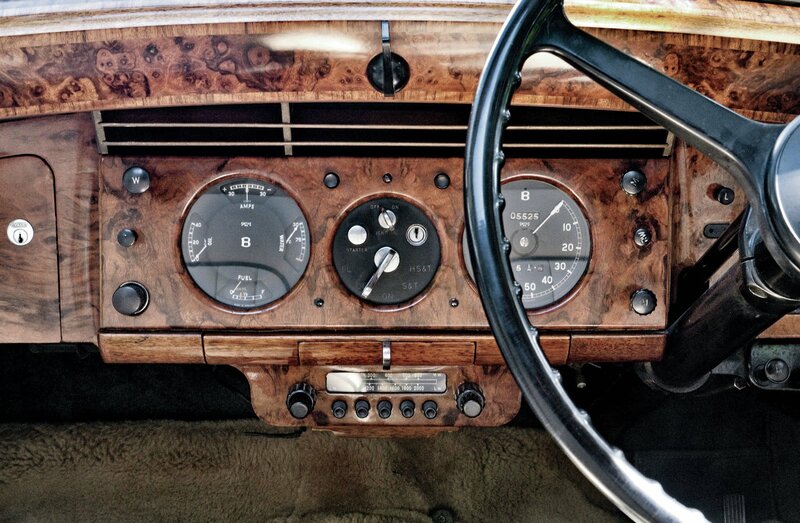 These days, the Bentley R-type still gets plenty of use, but now its cabin is filled with eleven cowhides. Dr. Doug Wolford had the Trapps’ vinyl replaced not long after acquiring the car from the family in 2003. 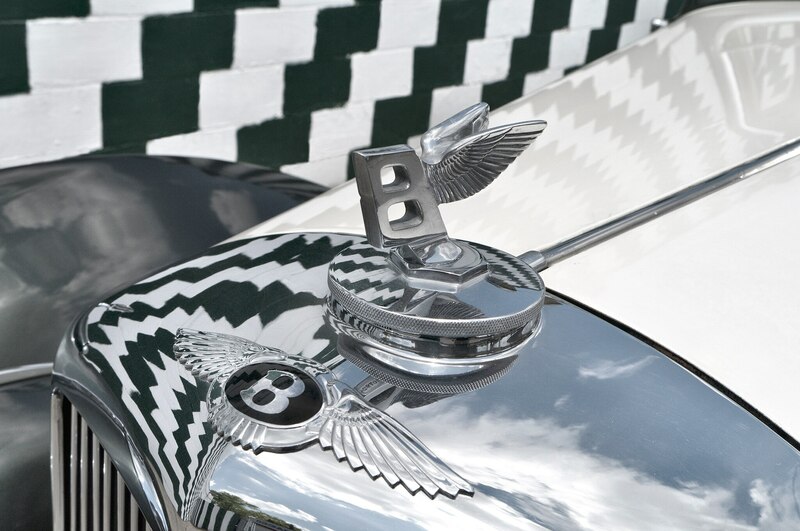 An anesthesiologist with about a dozen cars, Wolford didn’t plan on redoing the big sedan, but just months after he bought the Bentley sight unseen on eBay, Wolford was cruising down the highway when the Bentley R-type’s engine overheated, melting two pistons. Thus began a thorough recommissioning. Over the course of ten months, a shop in Ontario rebuilt most of the drivetrain to the tune of $40,000. Boston, Chicago, England, and Australia postmarks brought replaced or refreshed parts. With revitalized mechanicals, the car deserved a cosmetic freshening, which included two-tone paint and expertly applied pinstripes. 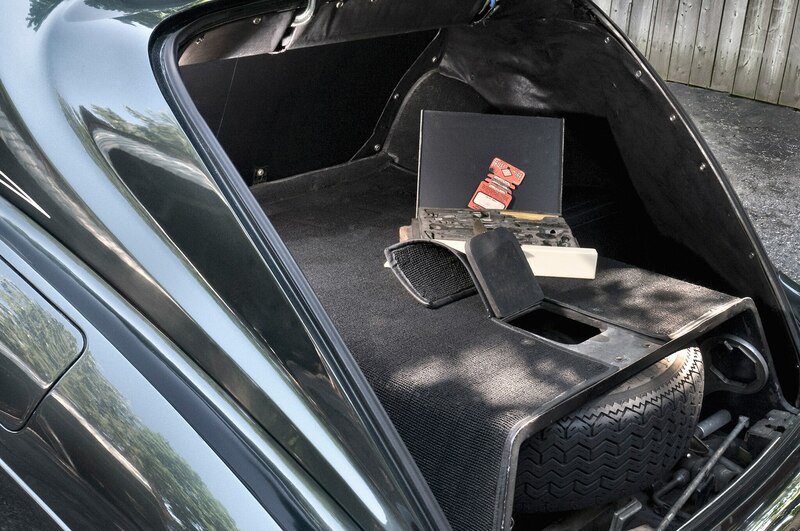 Since the Bentley’s completion, Wolford has put some 40,000 miles on it. He has driven it from Lansing to Louisiana (via the Natchez Trace Parkway) and on several trips to West Virginia. “It’ll run 70 mph all day,” he says. 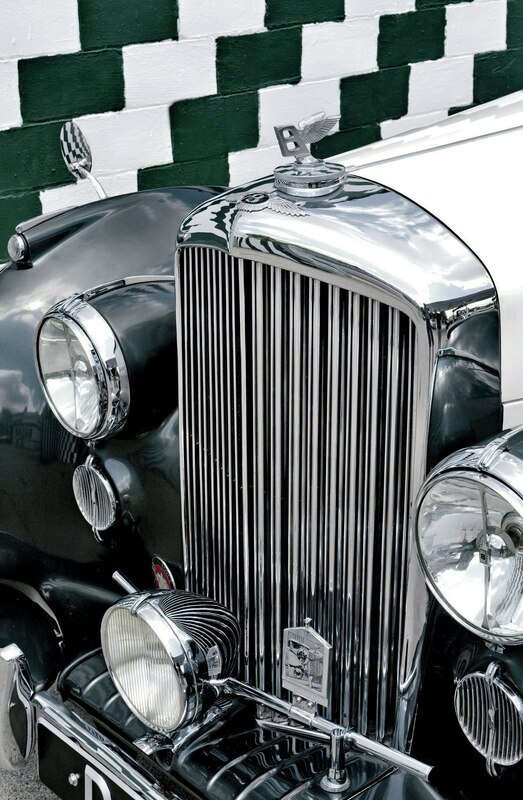 Even in the 1950s, the Bentley R-type had a reputation for long-distance, high-speed motoring and excellent reliability. However, many of these stately cars suffered from neglect over the years, largely because they were—and are—relatively affordable. Wolford’s rejuvenated R-type’s reliability extended to our test-drive on a hot day in Lansing, Michigan’s capital city. Indeed, the brakes work well on the road. The steering feels crisp and has a surprisingly small dead spot on-center. The ride isn’t nearly as floaty as you’ll find in 1950s American cars, but it’s still very comfortable. A lever on the steering wheel can (slightly) firm up the variable-pressure oil in the rear dampers. 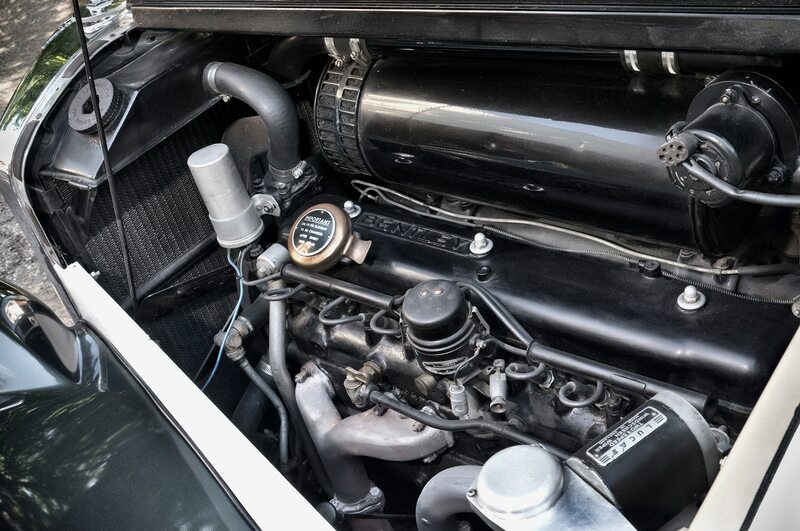 The smooth, quiet engine is all British, a 4.6-liter F-head straight six that Rolls and Bentley launched just after World War II in their badge-engineered, “owner-driver” (as opposed to chauffeur-driven) models, the Mark VI and the Silver Dawn. The acceleration of the R-type—basically a Mark VI with a more rumplike trunk—is pretty peppy, particularly for a 4300-pound, fifty-year-old sedan with 205,000 miles on the odometer. 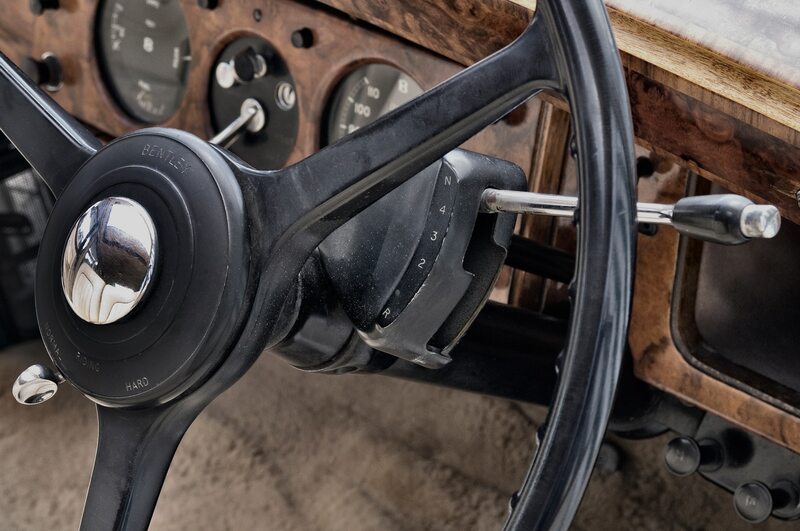 You’re soundly reminded of the car’s age when sitting at long traffic lights, though, because the optional turn signal is basically an egg timer set for about ten seconds—you have to keep cranking the dash-mounted dial to reawaken the blinkers. 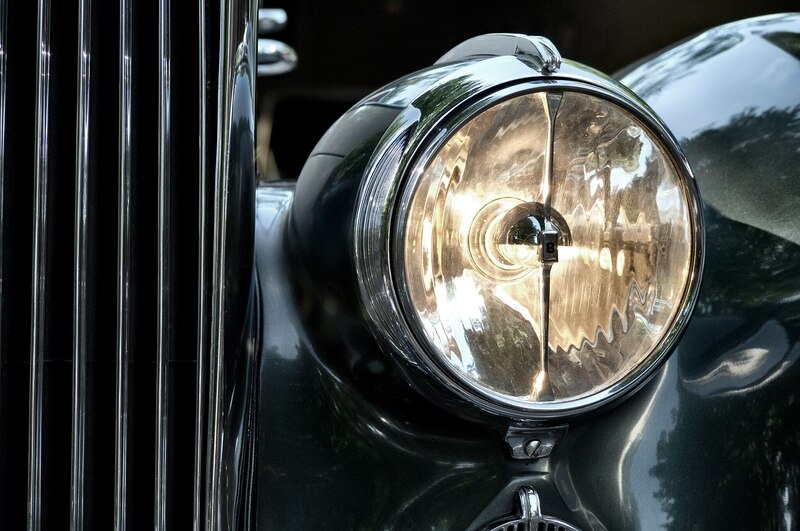 Compared with the 1946–1952 Mark VI, the R-type had additional fancy features, such as an electric rear-window defroster and an automatic choke. In its review of the model, Autocardevoted eight full paragraphs to describing the latter novelty, which precluded having to pull a lever for cold starts. Now that’s luxury. Value today $35,000â$50,000. Almost double that for coachbuilt sedans. Style per dollar. 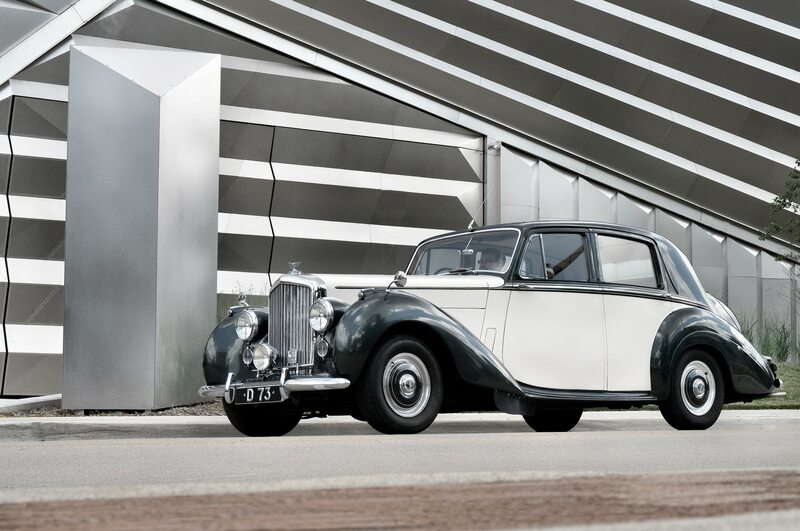 Justifiably overshadowed by the striking R-type Continental coupe, the R-type saloon—sorry, sedan—is very attractive in its own right. 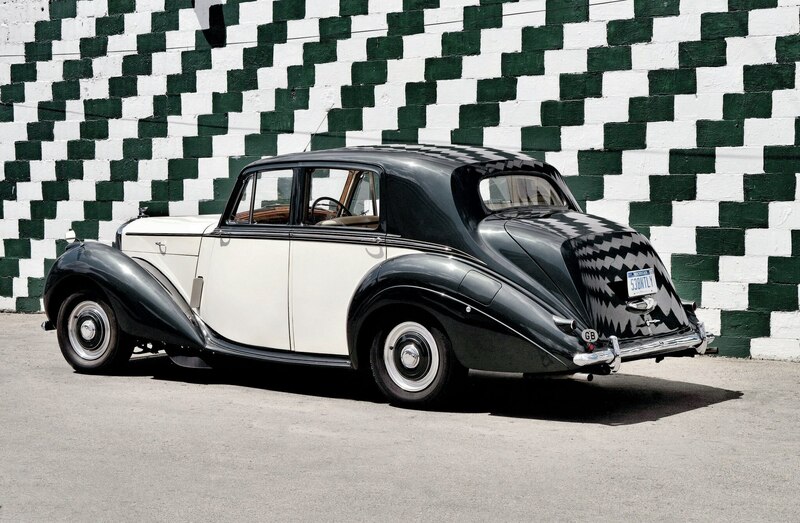 $50,000 can buy an impeccable example—quite a break from the $950,000, or much more, you’ll pay for a Continental. Other two-door R-types command low six figures. Coachbuilt sedans generaly have more flowing lines and are worth a lot more but aren’t as durable as factory-bodied cars. 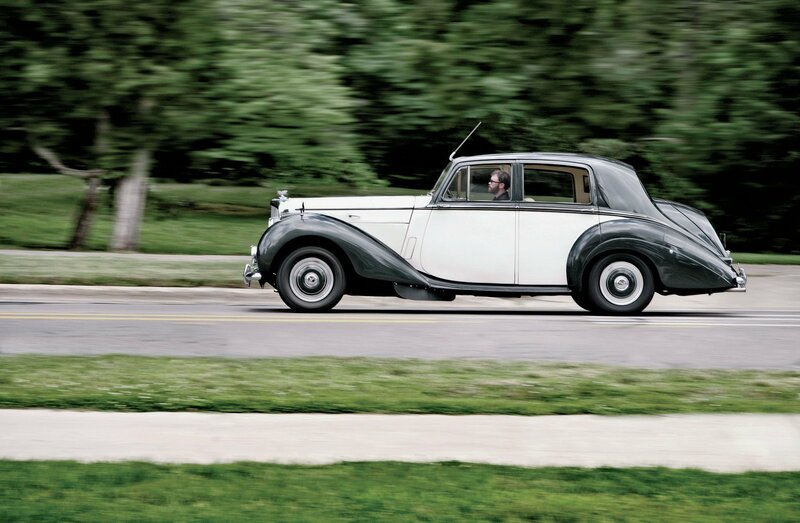 R-types were exceptionally well built, but careful maintenance is critical; the sterling Rolls-Royce Owners’ Club can provide specifics.